A few years ago, I had a brief layover in Iceland. While I was in Reykjavik, I decided I was going to come back and explore this beautiful country one day. So I did! When I found cheap plane tickets, I quickly enlisted my friend Janine, and we made our way to this beautiful country filled with elves, trolls, and fairies. When people ask “how was your trip?”, it can be hard to describe. My biggest highlights weren’t necessarily cool things that we did. Instead, this trip proved to be much more of an introspective trip where I focused on mindfulness and just enjoying the moment: just being. But I thought I’d take a stab at sharing some of my favorite moments along with a few photos from this glorious county. 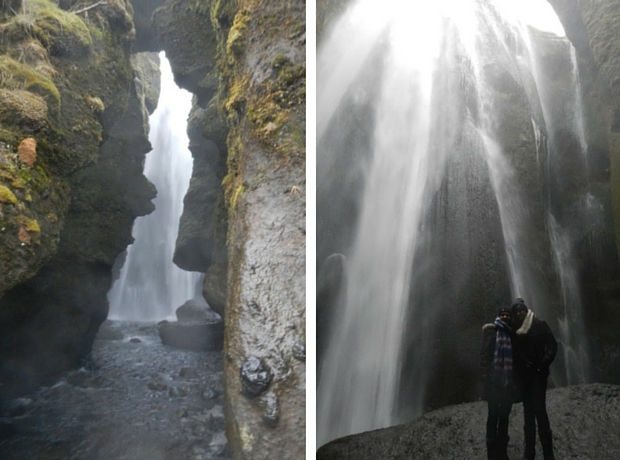 Exploring Gljúfurárfoss, a hidden waterfall, was incredible. Janine was off taking photos (as usual 😉 ), and I found my way to this waterfall near Selijalandsfoss (the main thing we were there to see). 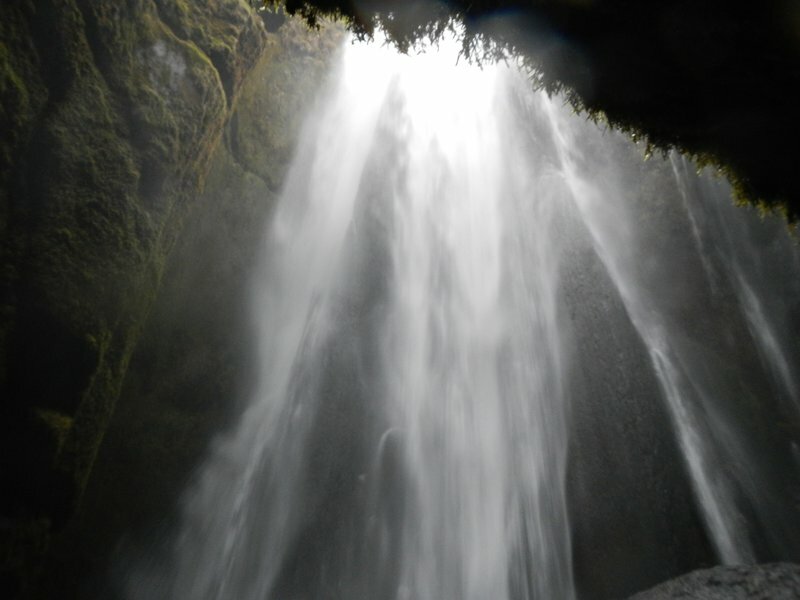 No one followed me into the cave, and I found myself alone in front of this crushing waterfall. I’m not sure what is was, but I was overcome with… a wild peace (if that’s even possible). I’m pretty sure I must have screamed because I couldn’t keep it to myself. It was magical wandering alone in front of God’s most spectacular creation. Nothing else existed in that moment. 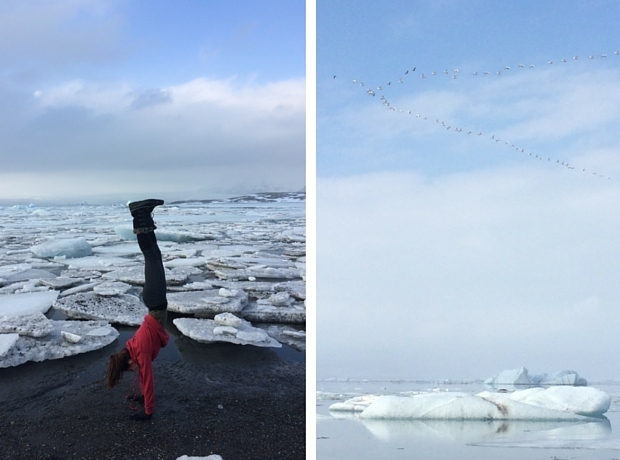 Sitting at Jökulsárlón, Glacier Lagoon and just taking in the sights and sounds was definitely my number two moment in Iceland. I found a rock to perch on for a while and just stared out into the lagoon. 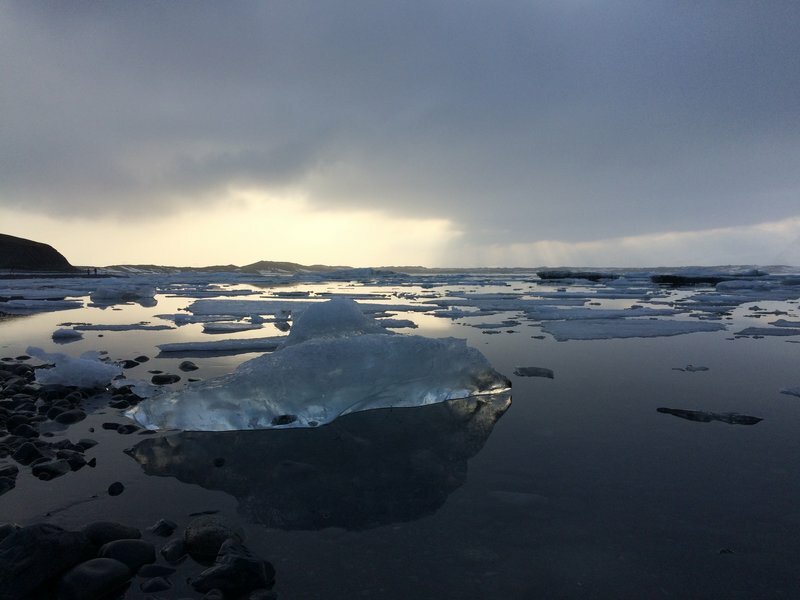 I watched pieces of glacier floating slowly and quickly, admiring their lack of hurry or adherence to anyone else’s timetable. I also tried to use my senses other than my sight to take in the experience. I closed my eyes and listened. At first, most of what I heard was other tourists chatting and snapping photos. But the rolling of the tiny waves, lapping water, and the cries of the various birds all could be heard. It was satisfying to be able to stop and sit amid such busyness to see nature’s unhurried beauty. We hiked up to an overlook at the lagoon, which offered a few more moments of stillness. I took off my shoes for a few yoga poses and the feeling of moss and stones beneath my feet was glorious. I love being connected to the earth through the soles of my feet. The breeze coming up from the lagoon was refreshing, not biting. And the sight was incredible. It made me want to shout from the top of my lungs (see a trend?). 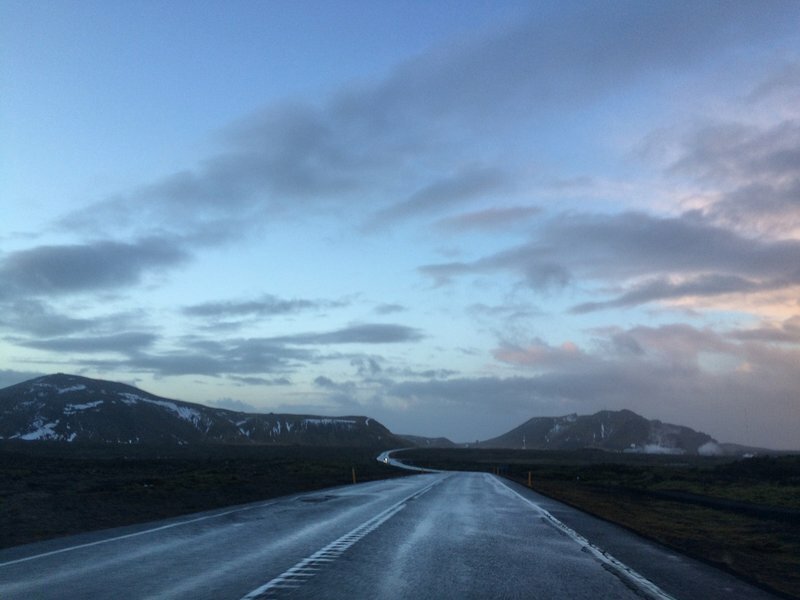 Driving in southern Iceland (especially when Janine was asleep 😉 ) offered many other soul-rocking moments for me. 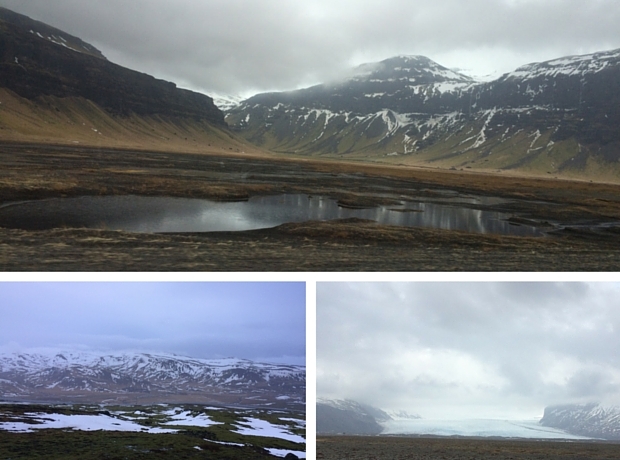 The vastness of the mountains, the snow covered peaks, the glacial flows, the seemingly endless plains of ice and lava rocks, the moss fields that made me feel like I was in Middle Earth — the beauty of it all was breathtaking. I felt much of the same way as I did at the waterfall — a magical, wild peace. I have never been so satisfied to just be. Of course, I would snap a photo now and then, but just driving through it and being able to take it in was more than enough. God’s handiwork really blew me away. 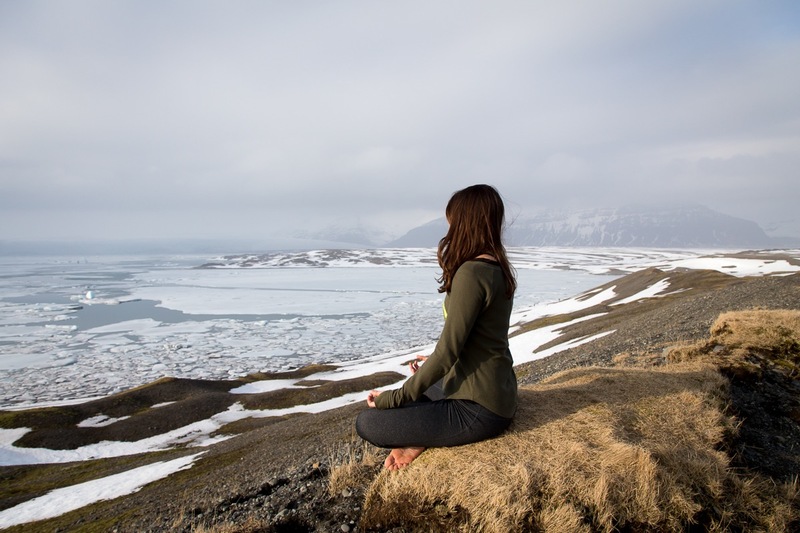 Click here to see more of my photos from our Iceland trip or here to read 20 things my travel partner and I learned in Iceland.